My son is extremely fond of Gnocchi. If I asked my children what they’d like for dinner I can always count on Josh to select Gnocchi or Ravioli, they are tied in his book. This recipe utilizes dry packaged Gnocchi but is so versatile you can make it with fresh gnocchi or add/change some veggies. For example, I make this with Swiss chard instead of Kale sometimes. This is definitely a simple recipe that should take 30 minutes or less. Don’t get me wrong I absolutely love being in the kitchen, but there are times when you need to put together a quick meal and this is certainly one of my ‘go-to’ meals. 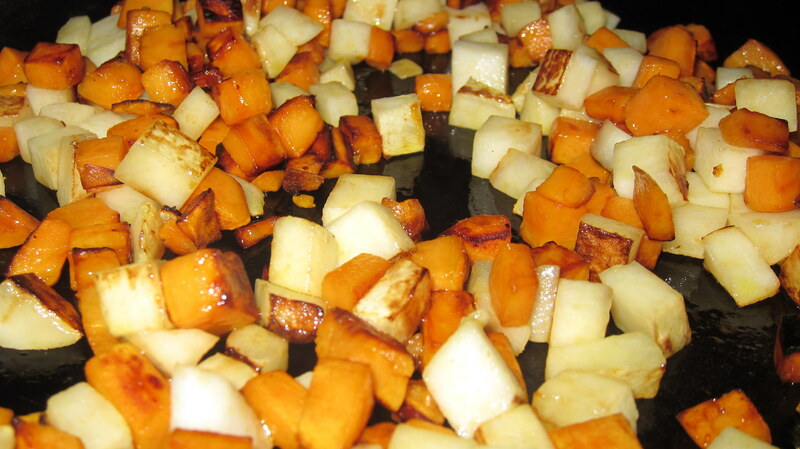 -Sauté Sweet Potatoes in Olive oil for about 5 minutes over medium heat. Add Water and continue cooking for another 2 minutes. 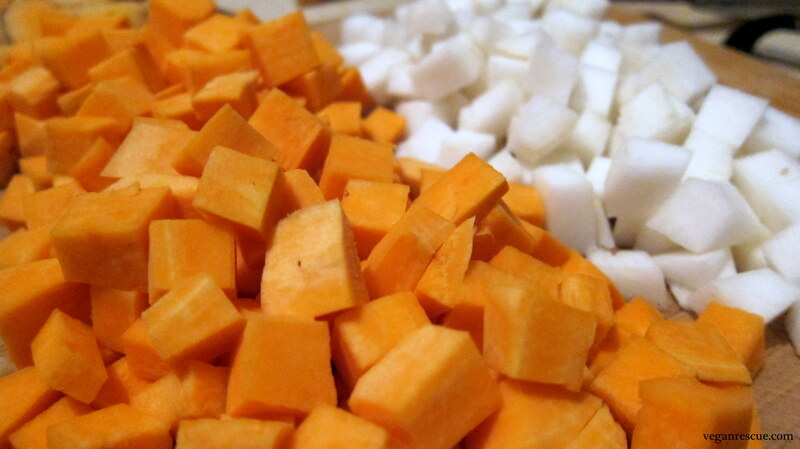 -Add Turnips and sauté for another 5 minutes. -Dice up Shallots while turnips and carrots are cooking. To pan add 2 Tbsp Earth Balance and Shallots, continue cooking for another 2-3 minutes. 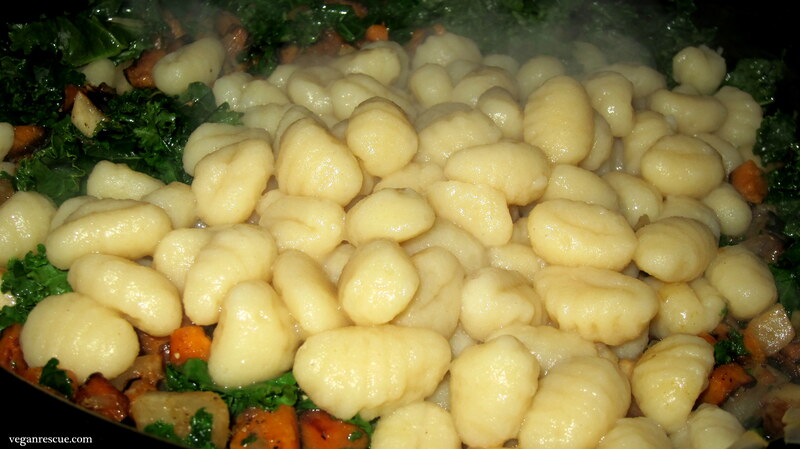 -Add Gnocchi to boiling water, cook for about 2-3 mins. Once gnocchi floats to the top they are ready to come out. -Add Kale, Salt/Pepper and Chili powder and heat through for another 2 minutes. 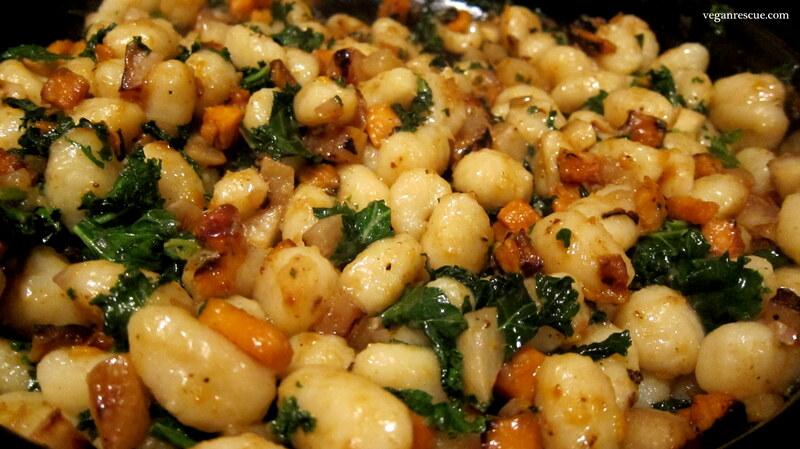 -Drain Gnocchi then add to sauté pan with veggies plus remaining Earth Balance. Heat through until incorporated and golden.